There are many things to consider when buying a condo, but the bottom line for many homebuyers would be the price of the property. They believe that the price ultimately determines whether the condo unit is a good or a bad buy. When buying a condo unit, a cheaper deal does not always mean a better buy. That’s because buying cheap is relative. If you can get a good quality pair of shoes at rock bottom prices, it may be your lucky day. Sadly, it does not follow when it comes to real estate, because when you get it cheap, you almost always end up getting what you paid for. For one, the location could be less than attractive. There’s a big chance the condominium community you’re eyeing for its affordability is situated in a neighborhood that is less than ideal for a comfortable, safe, and convenient living. It could be located in a busy but rough part of town, where safety can be a constant concern. The condominium might be in the middle of the city, but if the neighborhood has a reputation for petty crimes, would you sacrifice your peace of mind for a cheaper condo home? On the other hand, it could be located away from downtown, in a safe and peaceful part of the city, but far from modern amenities and daily essentials. This will entail a longer commute, thereby exposing you to more traffic and higher expense for fuel or fare for transportation. Soon you will find it too much of an effort to go downtown to buy groceries or pay bills or run errands. It will dawn on you that it totally negates the whole concept of condo living, where its central location makes everyday living easy, convenient, and hassle free. There's another catch when the condominium's location is in a sleepy and uneventful part of town where there’s simply nothing going on. For one, it does nothing to your goal of living an exciting urban lifestyle. More importantly, it negatively impacts your investment because a good condo investment requires a promising location with a good potential for growth and progress. Another thing to look into is the condominium's facilities. Does it have the full range of amenities or is it very spartan to the point of being non-existent? Facilities and amenities that are poor in quality and quantity should be a deal-breaker by itself. So when you find a condo unit priced so low it sounds too good to be true, it almost always is. The other side of the coin, however, does not usually mean the opposite. When a condominium property is priced within the high-end range, many believe it automatically means it offers the best options. While it could be true in a few cases, it is not always the case. Some condominium properties are pricey simply because the cost of construction is very high. If a condominium is built on wet or marshy land, the developer need to invest heavily on building a strong foundation. This bloats the cost of the development and in turn makes the condo units pricier than most. Typically, those looking for a condo usually want it located in a “nice" neighbourhood, meaning the community is safe, convenient, and promising. That is why the best condominium communities are located at the heart of the city’s growth area, such as Northpoint, the landmark development of Vista Residences in Davao. Northpoint is built on solid bedrock within the elevated land at the junction of Buhangin Road and J.P. Laurel Avenue, Davao City, two major thoroughfares plied by public transportation which lead to both the northern and southern part of the city. It is nestled within the heart of north Davao's growth area, where the real estate development is flourishing and the business district, BPO parks, and commercial and shopping centers are thriving. It's central location makes it near to almost everything, giving its unit owners a convenient lifestyle. As a development masterplan, it has world-class amenities including the majestic clubhouse called Wakefield Manor, a fitness gym, an adult wellness pool with salinated water, kiddie pool, cabanas, grill pits, and a multi-purpose hall. 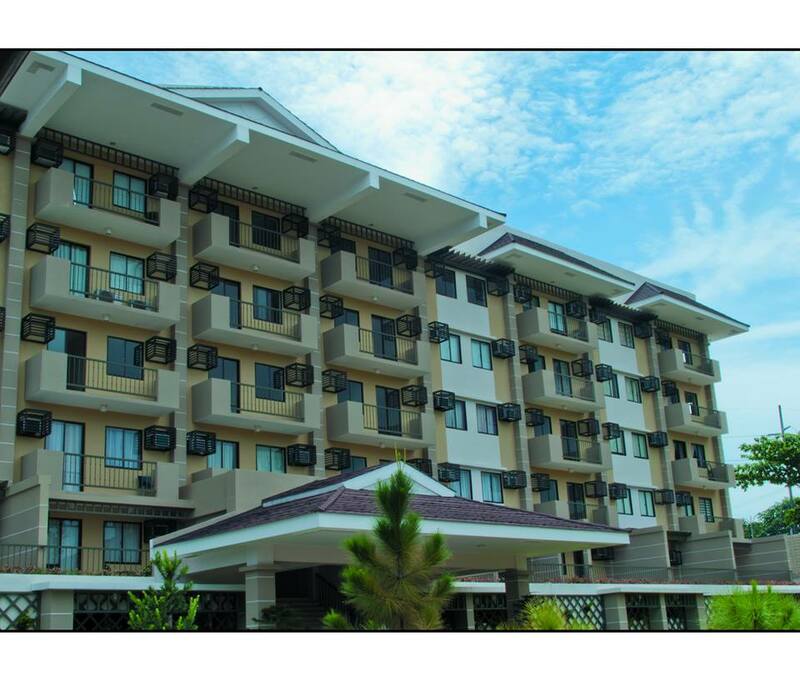 There are pocket gardens, nature park, jogging track, and shuttle service to the main gate. For more information on Northpoint condo units, feel free to visit the Camella Office at Delgar Bldg, J.P. Laurel Avenue, Davao City. You may also contact them via telephone number #082-226-3100. Condominiums are great for people who are just starting out in life, after a while when you've saved enough, it's better to get a house (hopefully). And the best part is that you can have someone rent your unit. I almost bought a condo before leaving PI but my husband did not like the idea.